SARAJEVO/TIRANA – Western Balkans economy ministers adopted today 11 targets for smart, sustainable and inclusive growth in the region, to be reached by 2020. The commitment was made at the ministerial conference of the Regional Cooperation Council (RCC)'s South East Europe Investment Committee (SEEIC), held in Tirana today. The targets form the basis for a regional South East Europe 2020 (SEE 2020) strategy, inspired by Europe 2020 strategy, but adjusted to the specific realities of the region. They include increasing regional GDP per capita from 38% to 46% of the EU-27 average; growing the region’s total value of trade in goods and services by more than 130%; and reducing the trade deficit from 14.1 to 11.6 per cent of the regional GDP. Furthermore, the ministerial declaration aims at increasing intra-regional trade in goods by more than 230% to 42 billion euro, the overall foreign direct investment (FDI) inflows to 7.5 billion euro, and the GDP per person employed by 33%. Other targets seek to increase the rate of enterprise creation by 20%, exports of goods and services per capita from the region by 130%, and the overall employment rate by 12%. They envisage adding 300,000 highly educated people to the region’s workforce, and increasing government effectiveness by 20% by 2020. Opening the meeting, Edmond Haxhinasto, Deputy Prime Minister and Minister of Economy, Trade and Energy of the Republic of Albania, said he was honoured to co-chair the SEEIC and extended Albania’s full support to the work of the Committee and the RCC as such. The RCC Secretary General, Hido Biscevic, underlined that the adoption of the headline targets will require considerable effort and political will among the countries as well as support from the international community. 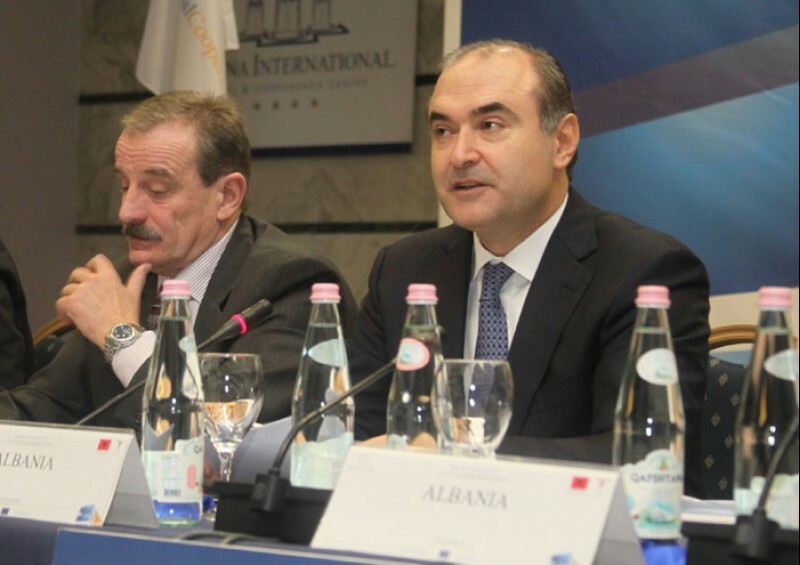 The ministerial conference was co-organized by the RCC’s South East Europe Investment Committee and the Government of the Republic of Albania, current co-chair of the SEEIC. The ministers committed to strengthening economic and social development across South East Europe and integrating the region more closely with the European Union. They emphasized the importance of a continued private-public sector dialogue and cooperation at national, regional and European level to help meet the SEE 2020 headline targets. Ambassador Ettore Sequi, Head of Delegation of the European Union to Albania, underlined that the European Commission considers the RCC’s South East Europe Investment Committee a flagship regional project and an essential part of the enhanced economic dialogue. The economy ministers called on the EU to support SEE 2020 within the enlargement process, and tasked the RCC SEEIC with preparing the SEE 2020 Strategy and Action Plan, containing a roadmap for implementation. The document will be adopted at the next ministerial meeting at the end of 2013. Video materials from the event are available at http://www.arhiva.me/video.php. Please contact us at press@rcc.int in order to obtain logging details.